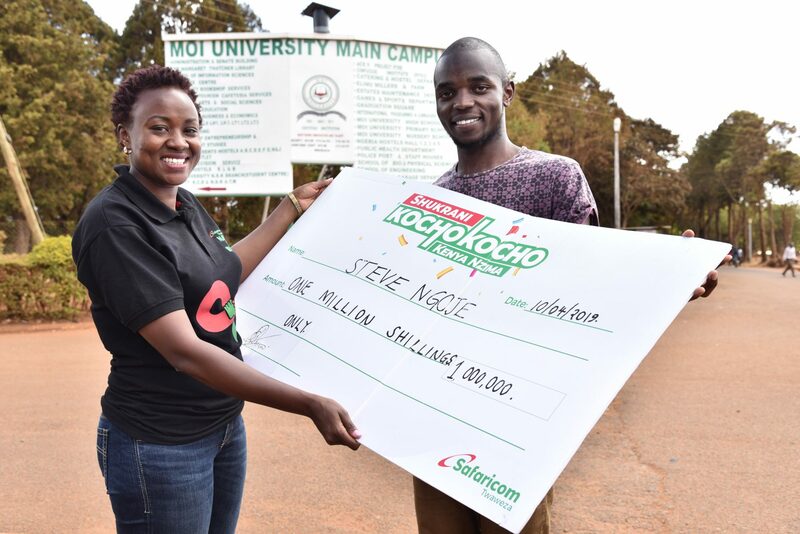 Steve Ngoje, an engineering student at Moi University, is the latest winner of Ksh. 1 million in the ongoing Safaricom Shukrani Kochokocho Kenya Nzima promotion. The 23-year-old Electronics and Electrical Engineering student is in his last semester of his studies at the Kesses Campus. He says the money will help him settle after his education. He plans to pay for his Master’s Program in Electrical Engineering and take care of his sister’s education. “I am very happy to have won a million shillings at this stage of my life. I am completing my undergraduate studies with a promising beginning thanks to Shukrani Kochokocho promotion. I am going to enroll for a Master’s Program in Electrical engineering as soon as I get my results to further my studies. The money will also go a long way in advancing my younger sister’s university education,” said Ngoje. 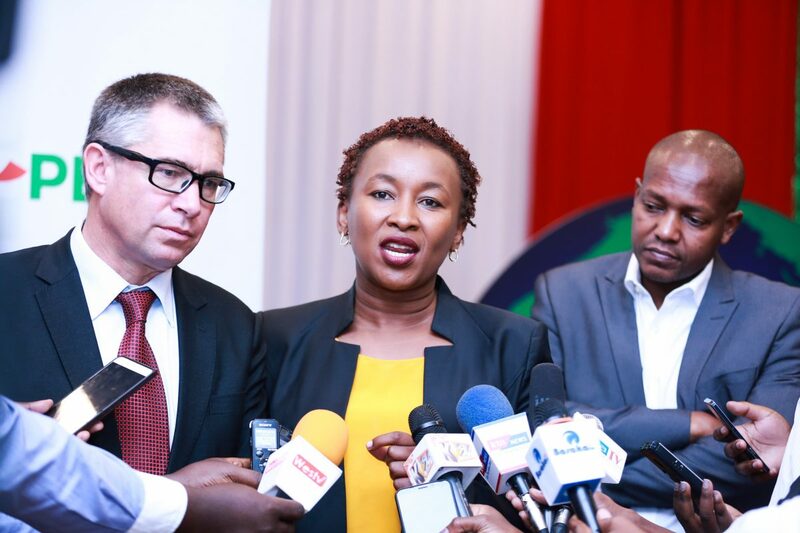 Other week six millionaires include: Kangwere Mutemi, a 68-year old farmer from Kitui County, Eastern Region; Consolata Gakuhi Njoroge, 43, who works at a flower farm in Thika, Central Kenya region; Bramwel Osogol Emongole from Bungoma, Western region; Jared Mwai Kichia from Migori, Nyanza Region and Keziah Wambui Irungu from Githurai, Nairobi Region. Coast and North Eastern winners will be announced in the coming week once the winners are reached. Close to four million customers across the country have been awarded with weekly cash and daily airtime prizes worth over Ksh. 200 million shillings as the promotion enters its seventh week.